As a part of complete Structural Correction, often times complimentary recommendations will be made by your doctor. During the course of the initial phase of care, he or she may prescribe rehabilitation exercises designed to strength focused areas of the body that require retraining due to an injury or condition. Some may consist of movements with resistance coming from your body weight against gravity. Lunges are a great example of a simple yet great exercise to help with the recovery of certain back conditions. Other exercises may require additional resistance beyond your body weight. Resistance band training can be an effective way to rehab neck, shoulder, knee, upper back and low back conditions. Resistance bands are rehab and exercise equipment that give steady resistance throughout the specific exercise performed. They usually consist of either rubberized bands or elastic cables with handle attachments. The advantage of a resistance band for rehab over traditional dumbbells is three-fold. 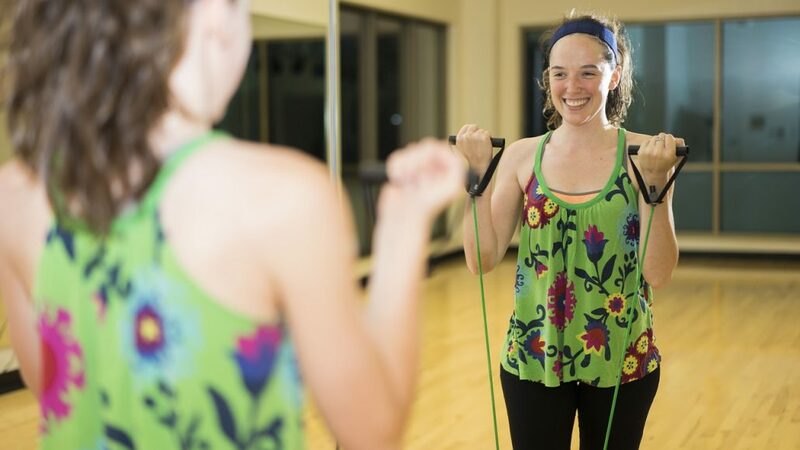 First, resistance bands are compact and easy to use no matter what your skill level may be. Worried about getting off track with your rehab program while traveling? Bands are easy to pack and take up little room. They can easily be used in a hotel room or while on the road. Third, resistance band training allows for continuous resistance throughout the exercises prescribed to you. Continuous resistance engages your muscles while contracting and releasing. You can also hold the movement with the band stretched to add an additional element to the rehab of the injured area. This results in better overall stabilization to injured or underworked areas initially determined by your doctor. We have an array of bands to choose from at our office. They are the most advanced and effective bands for structural rehab because of their hand and foot holds. We have developed a video series available to our patients to guide you through the exercises. Ask to see our selection on your next visit!